This is a twin pack of adapters. 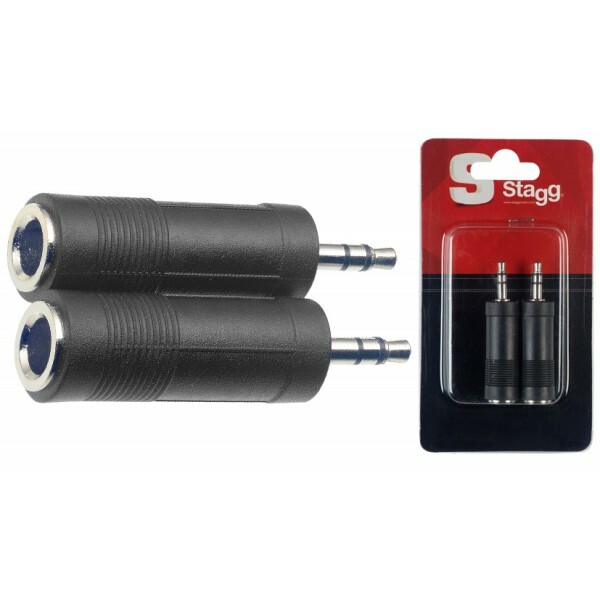 If you have retro style old hi-fi big Headphones with a large 1/4″ (standard) jack plug on the end and you wish to plug into an modern iphone / ipod / phone. Can be used to plug a guitar into a computer maybe (might only come out of one channel) or into the “MP3” input on the front of some guitar amps.